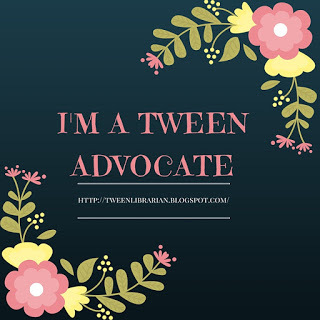 The great and wonderful tween and teen book blog! About the Book: Twelve year old Willa Havisham reads classics, eats cherry cordials and dreams and wishes for her mom Stella to fall in love. Stella is a glamorous wedding planner, but after the tragic death of her true love and Willa's dad, Stella can't seem to get close to fallng for anyone. When she does, she moves herself and Willa to a new home. This time to duo has made their home in Bramble, Cape Cod and just happen to move in next door to the very handsome and eligable Sam, who is Willa's english teacher. Willa loves Bramble and is making friends, and even finds a crush-worthy boy at her school! She also schemes to get Sam and Stella together. But before long, all the wishing, hoping and dreaming backfires. Can Willa save the day and find her happy ending? GreenBeanTeenQueen Says: Willa is such a wonderful charming girl-I think she earns a spot up there with Anne Shirley for big dreamers and hopeless romantics. This book is a good old fashioned story in a modern setting. Willa is spunky and creative and you can't help but root for her to succeed. The setting of Cape Cod adds to the magic of the story, and I wanted to take a vacation to Bramble to hang out with Willa there. With lots of romance and lots of heart, this is the perfect read for a lazy rainy afternoon. Hello! My name is Sarah and I am a Youth Services Manager who works with kids, tweens and teens. I love being asked about great books to read! I started my blog in 2008 as a way to keep track of what I've been reading and to use a reference tool for reader's advisory and it's grown into much more than I could have ever anticipated. In addition to book reviews, I also enjoy posting audiobook reviews, YA Movie News, booklists and my adventures in being a librarian. NOTE: The opinions and content of this blog are my own and are not that of my library system. My blog content is my own and not that of any committee or organization I'm involved in. About the Book: Echo looked up to her popular, beautiful sister Zoe. But when Zoe is brutally murdered, Echo is left feeling lost and confused. Now a year has passed and the world is moving on around her. Friends are growing up and changing, her parents are still mourning and Echo's not sure how to manage the awkwardness that is high school. Zoe isn't there to guide her, until one day Zoe's boyfriend shows up with her diary and gives it to Echo. Through her sister's diary, Echo learns secrets, lies, what led to her sister's death and ultimately how to move on and grow up. GreenBeanTeenQueen Says: I was originally interested in this book because of the cover that said fans of Veronica Mars would love this. As a VM fan, I had to pick it up and I'm so glad I did! This book is amazing. I feel very passionately that this is a must read. The writing is excellent and the story draws you in. Saving Zoe is a blender book (it's got a little bit of everything-it's got romance, mystery, twists and turns, coming of age, sadness, happiness.) In the beginning, you only know as much about Zoe's death that Echo knows which adds a mystery element of figuring out what happened to Zoe and why. I felt just like Echo and couldn't wait to read more of Zoe's diary and find out more about her life. I couldn't put it down and Zoe and Echo have stayed with me long after finishing the book. If you have a book club, this is a great pick as many interesting discussions can stem from the many topics presented. I would say more but I don't want to give too much away....so get yourself a copy and enjoy reading! P.S.-Alyson Noel has a blog and a message board and she's great about writing back to her fans-if you read her book, drop her a line-she's fabulous! About the Book: Percy Jackson has been labled as a bad kid. He's been kicked out of numerous schools, has ADD, and can't seem to stay out of trouble. All this changes when he discovers he's not a bad kid at all-he's just got different wiring because he's actually half greek god and half human! Yep, those ancient greek gods are alive and well and living in New York. So what's newly discovered demigod to do? Spend summer at Camp Halfblood of course! But things are not perfect on Mt. Olympus-Zeus' lightning bolt has been stolen and Percy is the prime suspect. Can Percy stop the brewing war, clear his name and still make it to seventh grade? Green Bean Teen Queen Says: This was one of my top picks for 2007. It's action packed, full of humor, and the modern twist is a great introduction to greek mythology. This is also a great pick for all you readers who say "but I don't really like reading!" Give the first chapter a try-you'll be hooked! With three books in the series right now and the fourth coming in May(I can't wait!) this is one series you won't want to miss. Well, I've finally done it. I've been wanting to start a book blog for a long time and here I am-finally! 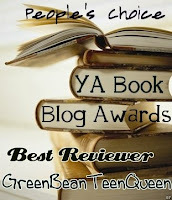 Check back often for reviews and booklists of tween and teen books. Post lots of comments-I love to read them! :) And don't forget to keep reading!